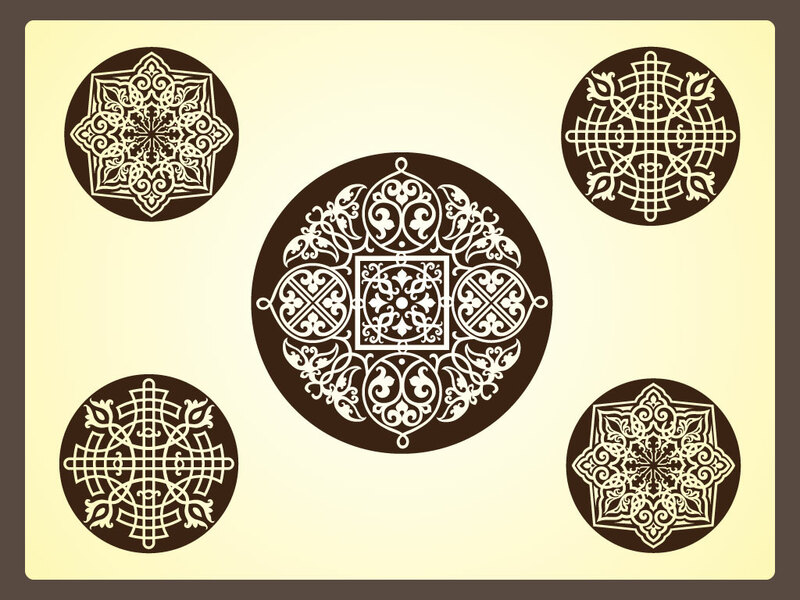 Inspired by decoration art from ancient Russia, this circles design set is beautiful and detailed. Scrolls, swirls and flowers within circles in five different patterns make up this vector pack. Great patterns for your textiles, brochures, wallpapers and patterns. Tags: Circle, Geometric, Pattern, Round, Russia, Scroll, Sophisticated, Swirl.